You make a good case for the use of displaced language in other instances, but the meaning of the figure of speech would have been clear in all of those examples. That’s not so much the case here. It seems that this argument creates ambiguity where there would have otherwise have been none. Just because there are cases in which displacement is used does not mean that it is either possible or likely in every case. Would there really have been any question whether Luke thought what was in the womb that leaped was so fundamentally different than what would come out of it? And if that is the case, why not avoid the figure of speech entirely? While this is not a clear statement that a fetus is a person (would the first Christians have created such a dichotomy? ), it seems to be clearly implied and Luke’s point would be nonsensical otherwise. If Luke is using a figure here, the burden of proof lies on the author. Unfortunately, the context doesn’t warrant it. It seems to me that you start by assuming a fetus is a child, and, based on that, conclude that Luke’s language cannot be metaphorical. Perhaps the point was that a fetus is like a child and can leap, but is unlike a child in that it is not a human. Or perhaps the point was (as you would like it to be) that the a fetus is like a child and can leap, and in fact is a child. Or perhaps the point was that the news was so good that even the inanimate fetus leaped for joy, similar to the jubilation in Psalms, marked by rivers that clap hands and mountains the dance. In my opinion, the text is consistent with all three positions, and doesn’t imply one over the other. Luk 1:42 and she loudly exclaimed, “How blessed are you among women, and how blessed is the infant in your womb! Luk 1:43 Why should this happen to me, to have the mother of my Lord visit me? Luk 1:44 As soon as the sound of your greeting reached my ears, the baby in my womb jumped for joy. A tree has no hands to clap, so one knows it is a metaphor. Jumping for joy is an action of a living being that has agency and purpose. Also recall that the babies in a womb can wrestle each other and a baby can be declared a Nazirite from conception to death, so that even the mother is not supposed to drink wine. What you show is that the word “child” might mean future child in some cases. But the fetus/child/future child shows agency and purpose, this tips the scales into showing it is not just a blob of cells but a person, as it is a person who shows agency and purpose. Why do you say it shows agency and purpose? Nouns being dissociated from the time when they apply works for the past as well as for the future: so Bill Clinton may still be addressed as “Mr. President” (same applies to ambassadors, I believe). Even a retired judged is still “Judge So-and-So”, no? I once organized an event whose description included “attended by three Cornell presidents” — obviously, only one of them was Cornell President at the time, and the other two were “former presidents”, by like you say in the post, we are able to deduce these things without them being explicitly expressed. 1) With regard to John “leaping” in his mother’s womb, you made the argument (both here and on your interview with Dr. Michael Brown) that Scripture uses similar terms to describe mountains leaping like rams. By suggesting that the “leaping” by John in his mother’s womb is metaphorical, and not actual, I think you make a gross interpretive error. Simply put, when we read Scripture we need to be able to discern when a phrase is being used symbolically or metaphorically. For example, in 2 Samuel 6:16, King David is described as leaping and dancing before the Lord, which caused Michal to despise him. In Daniel 3:24 we see King Nebuchadnezzar leap to his feat in amazement when he sees a fourth figure in the fiery furnace. In both those instances of narrative, are we to really say that their “leaping” was metaphorical and symbolic? Can we not say, at the very least, that they had some sort of physical response to what they were seeing or experiencing? As for the metaphorical use of “leaping”, we see this in the Psalms, which are poetic by their very nature. So when we look at Luke 1:41, are we to understand this style of writing to be poetry, or historical narrative? I would argue that we should recognize it as historical narrative, meaning that our default position should be to affirm that the baby in Elizabeth’s womb responded physically to something that the baby was experiencing. The burden of proof should be on the one who argues that the “leaping” of Luke 1:41 is purely symbolic or metaphorical. Yet regardless of the position we hold, we cannot deny that something “physical” took place in Mary’s womb (because she felt it), as a result of the unborn John being in the presence of the unborn Messiah. 2) Yet even if we were to say that John’s “leaping” was metaphorical, you ignore the concept of personhood. Consider for a moment that it is not simply the case that one has value because they are human. God the Father and God the Holy Spirit are not human, but they are still persons and have value. I would argue that even though humans DO have value because they are made in God’s image, this value is also tied to the fact of personhood. So this leads us to two important questions: When does an unborn child become a “person”, and does Scripture use “personal” language in describing unborn children? With regard to the second question, we need to recognize that Scripture does indeed use this personal language. Consider when Hagar fled from Sarai in Genesis 16:11-12, the angel of the Lord speaks to her about her unborn child in a way that uses the language of persons (using the word “he”). The same can be said regarding the birth of Samson. When the angel of the Lord speaks to the wife of Manoah, the angel speaks of the unborn child using personal language. With that being said, I would argue that “personhood” begins at conception. Simply because the unborn fetus is not fully developed (neither is a 4 year old child), that does not mean that they are not “persons” that have personal rights and value. 3) When it comes to the value of the unborn child, you seem to suggest that Exodus 21:22 either has no bearing on the conversation (because the child is simply born prematurely) or demonstrates that the child does not have as much worth as a normal human (because the penalty is not death). Interestingly, you mentioned in your interview with Dr. Brown that some Jewish traditions did not view children as having full worth until they were older. My challenge to this is that Scripture does seem to assign value to children both born and unborn. For instance, in Israel the penalty for sacrificing one’s children to Molek was the death-penalty (Leviticus 20:2). One could argue that it is only the false worship of an idol that is demanding the death penalty, not the act of killing one’s own children. But the problem is that the Ammonites and other peoples of Canaan were being “spewed” out of the land because of their detestable practices, not because they were not worshipping Yahweh. 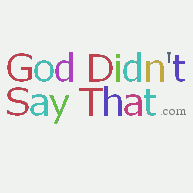 They were not given divine revelation, nor were they given God’s law. Yet God held those wicked nations accountable for their actions, not because they didn’t worship Yahweh. This actually helps to hit home the point that even if a nation is not of God’s covenant people, that nation is still held accountable for its practices. In the case of the Ammonites, they “passed” their children through the fire in an offering to Molek, a practice that the Israelites later engaged in themselves (2 Kings 23:10, 2 Chronicles 28:3, Jeremiah 7:31). This was done to young children (perhaps even newborns), and God despised it. Quite simply, those nations sacrificed their children for a perceived blessing in harvest and fertility (which the false god Molek was associated with). Is it not interesting that today people predominantly have abortions in order to not be hindered in their own desires and to pursue their own goals, which typically are economic in nature? It would seem that sacrifice to Molek still happens today. By the way, I ask that you consider Amos 1:13, in which Ammon is judged by Yahweh because Ammon “ripped open the pregnant women of Gilead in order to extend his borders.” The question here is: Did God judge Ammon and the Ammonites because he unlawfully was trying to grab more land, or because he ripped open pregnant women in order to do so? It would seem that, again, God does value the unborn, just as God values those who are weak and cannot defend themselves (i.e. the fatherless, the orphan, the widow, the sojourner, the alien, etc.). Is not the unborn child even more defenseless and helpless than those other types of individuals? 4) If it is the case that a child does not gain value (and have the rights of personhood) until a certain age, when are we to determine that age? Is it when the baby is born? Well, how about if just the baby’s head comes out of the womb, but the body is still in the womb? Since the baby is not yet “born”, it would seem that it has no value and can be “aborted” without fear of violating any moral law. You see, when we treat human value and personhood subjectively, we end up with no leg to stand on. There is absolutely no reason why a baby outside of the womb is more valuable or more of a person than a baby inside the womb. Even a baby outside the womb still cannot survive without assistance from others. It cannot feed itself, and it will die if left to its own. The same is true for a baby inside the womb. So at what point does a child (born or unborn) “become” a human and “become” a person? It seems to me that you, and others, have no option but to declare that human value is subjective. That is, a baby (born or unborn) only has value if it is wanted. So when a pregnant woman (who wants her baby) is murdered, we as a society have no problem charging the criminal for two homicides. When a pregnant woman (who wants her baby) is smoking a cigarette on the street corner, we have no problem giving her dirty looks and chastising her for her irresponsible behavior. Yet when a pregnant woman (who does not want her baby) stands in line at the abortion clinic, we applaud her for exercising her rights. So if human value is indeed subjective, and based upon if a person is “wanted” or not, how do avoid falling into some dangerous and dark pits (i.e. old individuals who cannot survive without help but are a “drain” on the system, or babies/children who are diagnosed with some sort of genetic disorder and need to be removed in order to keep the gene pool “clean”)? There is more that could be said, but in the end I think that this is enough to really question the conclusions that you have made regarding the concept of abortion. In all honesty, I think you have engaged in eisegesis, and have “massaged” the texts of Scripture in order to reach the desired conclusions. This is something that we are all guilty of at some point in our lives. We have a tendency to want to make Scripture conform to our view of how things should be. I think that, in this case, this is a blind spot of yours. That is, you are trying to find a way to get Scripture to support a position that you are already desiring to be true. Perhaps you are doing this because you value human autonomy (the so-called “woman’s right to choose”) over against God’s law. Or perhaps you are doing this under cultural pressure. I cannot judge your heart, and I will not do so. All I am asking is that you carefully think through the positions that you are taking, and ask yourself if you are truly letting Scripture mold your worldview and beliefs, or if you are trying to make Scripture say something that you already believe. Thank you for your time, and for considering my response. 1. I have much more about “leap” in most recent post, but certainly you would agree that the verb is being used figuratively, no? Fetuses don’t literally leap. 2. Personal language doesn’t indicate person-hood. After all, lots of body parts are assigned agency in the Bible. Bones and hearts rejoice, for instance. But that doesn’t mean that bones and hearts are people. Not at all. Let’s first be clear that here I’m talking about what the Bible says, not about policy suggestions. (Exodus 22 also assigns lesser penalties for maiming slaves than for maiming free people. I don’t know of anyone who thinks that’s good policy.) My reading is that the Bible is silent on the details of abortion, but it certainly doesn’t support valuing children only if they are wanted. This silence, of course, is not an argument in favor of abortion, just like it’s not an argument against it. More generally, I think that people who take the Bible seriously have an obligation to understand when life begins, and that obligation demands that they use all of the tools they can. When they read Scripture, they should do so in the light of what we have learned about language in the past 70 years. And they should look elsewhere in cases, like these, where Scripture asks a question and doesn’t answer it. 1. Yes, the fetus “leaping” is a figure of speech. But it is not the language of poetic simile that we find in the Psalms. A person can “leap” to their feet without either foot leaving the ground. A person can also “leap” off the ground with both feet in the air. In either case the individual in question is physically doing something. I would argue, based on the narrative style of language in Luke 1, that the baby did respond physically in some way (a way that caught Elizabeth’s attention) in response to some external stimulus (being in the presence of the unborn Messiah). Something physical happened to the baby, something that Elizabeth could feel. 2. Again, you apply metaphor and simile to places where Scripture does not use it. In both of the examples that I gave you of angels of the Lord speaking about unborn children, the style of writing is dialogue and narrative, not poetry or even apocalyptic language. We need to discern when the Bible is using metaphor/simile and when it isn’t. We can try to deny the personhood of the unborn child all that we want to, but it seems as if Scripture refers to the unborn using the language of persons, and not in a metaphorical sense. Because if we are going to say that ALL uses of personal language in historical narrative are to be understood metaphorically, then we could quite easily declare that the Holy Spirit is not really a “person” but is just being described in that way metaphorically. Are we ready to declare that God the Father and God the Holy Spirit are not persons even when they are described as such in narrative writing? 3. I understand that you agree that there is value to a person. But it seems that the references in Scripture to laws against child sacrifice and the judgment of those nations engaging in child sacrifice make it quite clear that God values children (both born and unborn) as human persons made in His image. A newborn baby is just as much the image of God as a 95 year old, crippled individual. It is that image of God that gives human persons value. If we are going to say that SOME individuals are not to be fully valued as persons, then we are saying that some individuals have more of the image of God than others, or that some are not in the image of God at all. 4. Our Biblical theology flows into our Systematic Theology. It is from the good and necessary consequences of Scripture that we develop policies. This is because we are to take what God says in His word, as well as in General Revelation, and put the two of them together into a greater “system” or “worldview”. God does not speak directly about certain things (such as necrophilia, or being addicted to video games) but that does not mean that the Bible is completely silent about such issues. God does not speak specifically about the practice of a woman willingly ending her pregnancy, although the closest thing to this is the worship of Molek, in which the women willingly killed their newborn children for perceived economic increase. So in the end, we must use both General Revelation (including logic and reason) as well as Special Revelation (God’s word) to derive our Systematic Theology. You say yourself that we should use all of the tools that we can. Well, we do not just exegete a few passages and leave it at that. We utilize all of Revelation. As far as language is concerned, with all do respect, I think you have confused the use of metaphor and simile in poetry with the use of figures of speech in narrative. Thank you again for your response, and I look forward to continued discussion! You apply metaphor and simile to places where Scripture does not use it. All language is built on metaphor and imagery. For instance, a sub-headline in today’s New York Times reads, “Dueling Speeches Reflect Chasm on Assad.” The speeches weren’t dueling; the orators were, though, obviously, only metaphorically. There was no reflection. And the chasm was figurative. The headline is nonetheless clear — so clear, in fact, that most native English speakers don’t even notice the metaphor. Similarly, the opening line of the article begins: “After circling each other for the past year, President Obama and President Vladimir V. Putin….” Again, the circling was, obviously, metaphoric. More generally, it’s a common misconception to think that metaphor only applies to poetry. And we cannot understand Scripture if we insist that it defies the natural laws of language. Or, to put it more optimistically, the better we understand language in general, the better we can understand the language of Scripture. So I agree that the Psalms are generally a different kind of writing than the Gospels, but I believe that we find metaphor and imagery in both. In the end, I agree that there was a physical response to a stimulus, but lots of body parts do that. The heart might skip a beat (usually figuratively). The stomach might growl. Pupils might enlarge. Limbs might shake. Unless you start with the assumption that a fetus is a child — which is what it seems like you are doing — I don’t see how a physical response on the part a fetus tells us anything about whether that fetus is a person or not. Wouldn’t the same kind of thinking mean that hearts are people and that stomachs are people are that pupils are people? Even though all language is built on metaphor and imagery, we as humans are able (via context) to determine the intended message. So for instance, when I say “I could eat a horse”, the typical context of that statement is saying something about my level of hunger. Those who understand the way that the phrase is used would recognize that I am not actually claiming to be able to physically fit an entire horse in my stomach. So even though I am not literally able to eat a horse, I am saying SOMETHING that is meaningful. In the example you provided, even though speeches aren’t “dueling” we know that the speeches were in opposition to each other. Furthermore, we know that SOMEBODY said SOMETHING in what could be called a “speech”. We use metaphor and simile to bring beauty and color to our language. But that doesn’t mean that something isn’t being said. When Jesus says “I am the vine”, he is not suggesting that he is physically a plant and not a human. But he IS trying to get a message across regarding the relationship between Himself and His disciples. Though the disciples are not physically “branches” of a plant, the relationship between themselves and their Lord is depicted by that imagery. Something real is being said about that relationship. Looking at the passage of Luke 1, we see nothing in the context from either the narrator or Elizabeth that would take away from the fact that the baby in the womb truly did respond to external stimuli. Is Elizabeth’s phrase “the baby leapt for joy” a common euphemism or metaphor in first century Palestine? Obviously she was under the impression that it was the baby, and not some other body part, that had responded (with some sort of emotion, nonetheless), to the external stimuli of being in the presence of the unborn Messiah. So in the end, I think that both the narrator of Luke and Elizabeth herself are starting with the assumption that the fetus is an unborn baby, and that it is a person. Again, if you wish to deny this, you need to explain WHEN an unborn baby becomes a person, and why Elizabeth refers to the unborn Messiah in very personal language, calling him “my Lord”. You also have yet to explain why angels of the Lord refer to unborn children with the language of persons. Finally, you have to explain how an unborn child is not made in the image of God (where we derive human value), but that the born child is made in the image of God. I hope that you will address those points eventually. Thank you!